Lucasfilm Ltd., a wholly owned subsidiary of The Walt Disney Company, is a global leader in film, television and digital entertainment production. 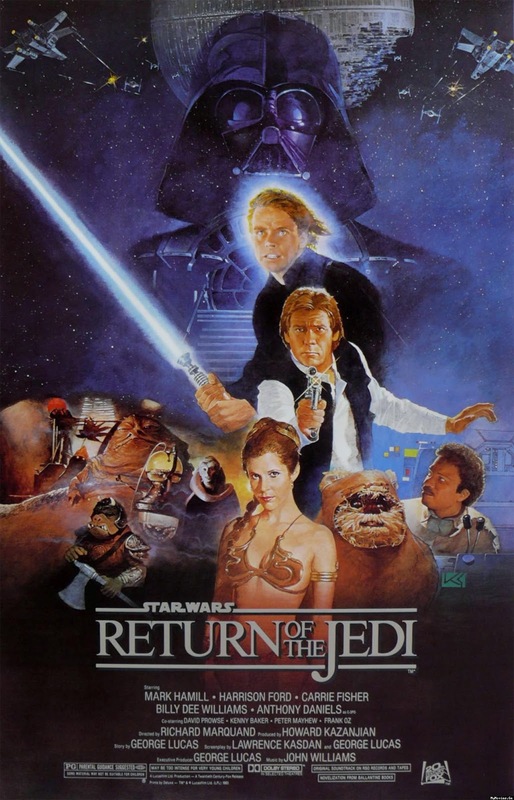 In addition to its motion-picture and television production, the company's activities include visual effects and audio post-production, cutting-edge digital animation, interactive entertainment software, and the management of the global merchandising activities for its entertainment properties including the legendary STAR WARS and INDIANA JONES franchises. Listen up when the carbonite block in which Han Solo is encased falls to the floor in Star Wars: The Return Of The Jedi (1983). What was used to create the sound of the carbonite mass hitting the ground? Ben Burtt simply recorded the sound of a big garbage dumpster outside his home. The iconic shot of Han Solo breaking out of the carbonite block was an interesting challenge for the movie’s special effects team. The crew made a wax figure of Harrison Ford and shone a bright light behind it for part of the epic transformation. It was a huge task to move the mammoth life-size puppet of Jabba The Hutt on the set of Star Wars: The Return Of The Jedi. The special effects team had to stand behind and inside the character in order to try and make him move as realistically as possible. There’s a crewmember in the tail of Jabba, along with two crewmembers on remote controls, which were used to move the tongue and the eyes of the behemoth character. The sand dune backgrounds for the scenes in which Jabba The Hutt’s barge heads to the Sarlacc Pit were all shot in Yuma, Arizona. When the background scenes were being shot, a sound crew was sent into the dunes – but the main thing they captured was sand in their equipment due to the high winds in the area! Instead, the sound crew headed off to a local naval air station where they recorded jets landing and taking off. These sounds became the basis for a lot of the speeder bikes seen later in the movie. South African fans can access the Star Wars Digital Movie Collection exclusively on the South Africa iTunes Store via www.itunes.com/starwars. There were many “happy accidents” during the shooting of the movie. One of the most spectacular lighting effects on the Imperial Walker scenes was discovered when the team shut down the lights to head off for lunch. Star Wars Sound Designer Ben Burtt went to a scuba shop to research the sound of Darth Vader’s breathing. He recorded himself breathing through different scuba tanks with a tiny microphone he placed inside the valve of the breathing apparatus. On the campus of the University Of Southern California, Ben Burtt was a projectionist who enjoyed the magical ‘humming’ sound of the projector motor when it was turned on. Burtt recorded the motorized hum and later added the buzzing sound from the back of his television set to become the basis sound for all of the lightsabers in the Star Wars movies. For over 90 years, The Walt Disney Studios has been the foundation on which The Walt Disney Company was built. Today, the Studio brings quality movies, music and stage plays to consumers throughout the world. Feature films are released under the following banners: Disney, including Walt Disney Animation Studios and Pixar Animation Studios; Disneynature; Marvel Studios; Disney|Lucasfilm; and Touchstone Pictures, the banner under which live-action films from DreamWorks Studios are distributed. The Disney Music Group encompasses the Walt Disney Records and Hollywood Records labels, as well as Disney Music Publishing. The Disney Theatrical Group produces and licenses live events, including Disney on Broadway, Disney On Ice and Disney Live!. Overall it's Entertainment Megahouse is what they are! Like The Life's Way Page on Facebook - https://www.facebook.com/TheLifesWayEmail - thelifesway@gmail.com for invites to launch events / sponsored posts and product reviews!